Beginning with some interactive drama exercises, the workshop develops into a demonstration of how even the dullest of beginnings can be turned into a compelling story. Participants learn some storytelling ‘tricks of the trade’ and, led by Kate, take part in a team storytelling exercise that ends up in the wildest of destinations! Invariably leaves kids buzzing with possibilities and ideas. Building on the theme of inventions (and disgusting sounding food!) in Just Jack, children make up their own wacky inventions and discover how crucial creative thinking is to everyday life. Participants are also invited make suggestions for the World’s Most Disgusting Menu (Brussel sprout ice cream, anyone?)! This workshop conveys to participants how the subjects of maths, science and history can become rich sources of storytelling ideas and how creativity is a vital resource for us all. A fun (and funny! ), highly energetic, and interactive workshop based on comic-strip superheroes and villains. Building on the comic-strips which feature in Giant, children will be invited to create their own comic-strip characters and storylines – from the heroic to the hilarious! 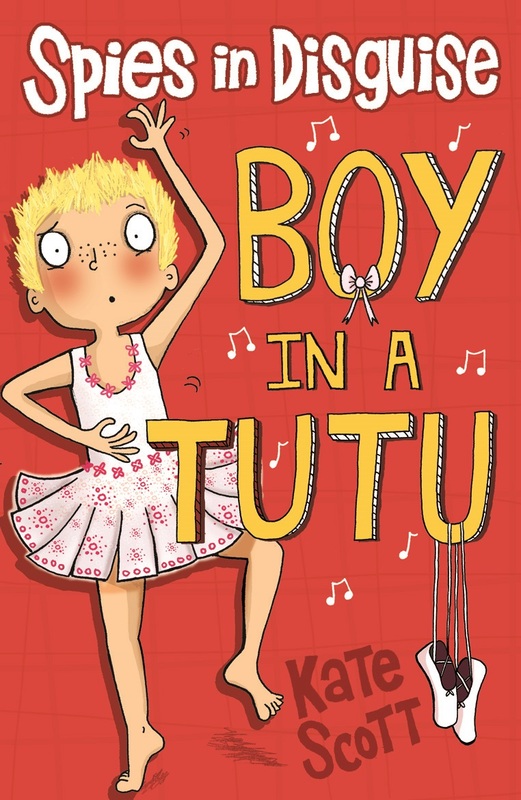 The themes of friendship, self-belief and self-acceptance are woven into the entertaining activities. A workshop developed to support the work of the charity EmpathyLab and linking to PSHE topics. Using situations from Giant, Just Jack and other relevant works (depending on the age of the participants), this workshop combines interactive/drama exercises and discussion to: develop children’s understanding of empathy; learn how to deal with challenging situations (e.g. bullying, anxiety); increase their interpersonal skills; and develop their self-confidence and ability to express their emotions. The workshop material is adapted to suit a variety of ages. A fun approach to serious subjects! An interactive, inspiring and practical workshop about poetry. Participants will be introduced to a selection of poets and have the opportunity to look at the techniques used to make poems funny/sad/thought-provoking. Students will also take part in a variety of fun drama exercises which demonstrate the effectiveness of similes and metaphors. By the end of the session the group will have produced two or more poems together. A workshop that involves playful but educational explorations of language. A workshop about television writing – how does a story end up on screen? Participants will write – and perform – short scenes and learn the basics of good storytelling in scriptwriting. They will be introduced to the idea of splitting a story into acts and how best to visually capture and convey a narrative. Older years will have the opportunity to ask questions about pursuing a career in this field. NB This workshop can also be run as an after-school club over a number of weeks so that participants can delve into the area more thoroughly. Skype sessions are also offered. Fees vary according to what is required, the location of the event/workshops and whether other local schools can book an event for the following or preceding day and so can share the costs. Please contact me for details. Lower fees may apply for a single whole-school talk (followed by a Q&A and book signing) if not at a great distance to me. Travel expenses will also apply. I am happy to travel abroad as well as anywhere within the UK. I offer a discount to schools within forty miles of Bridport, Dorset. 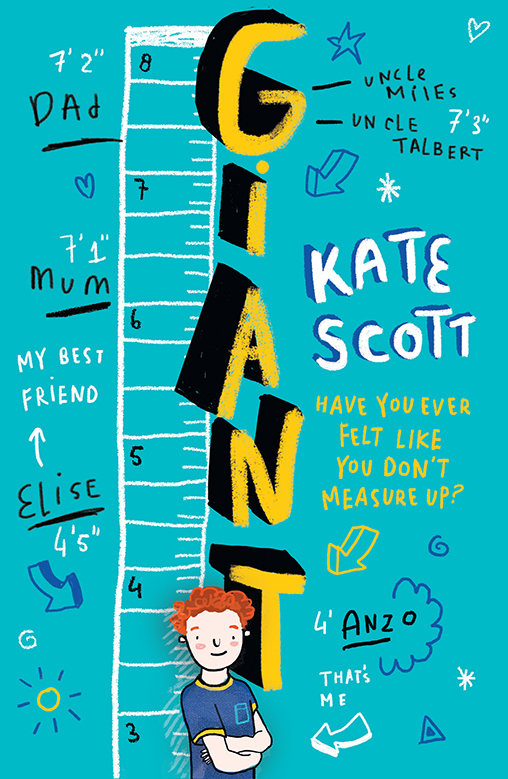 Kate Scott has written over 25 books for Penguin Random House, Oxford University Press, Pearson, HarperCollins, Hodder and Piccadilly Press. Her books have been translated into several languages. 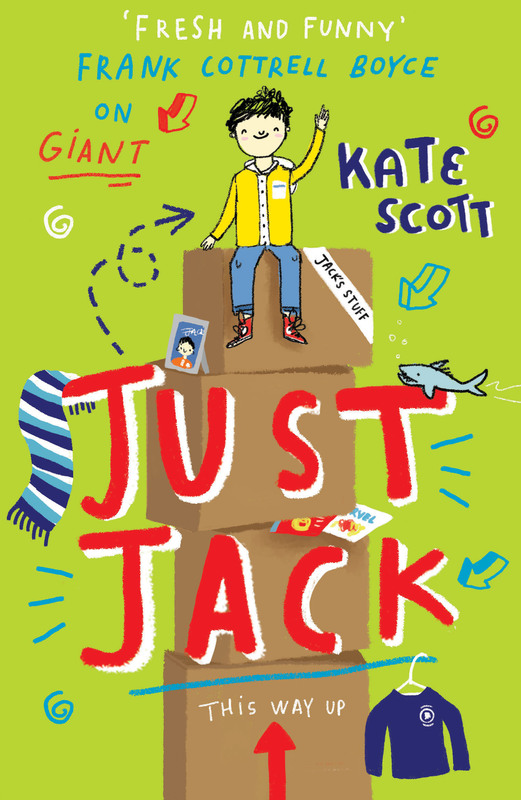 Kate Scott’s latest books, published by Piccadilly Press, are Giant and Just Jack (for the 8–12s). 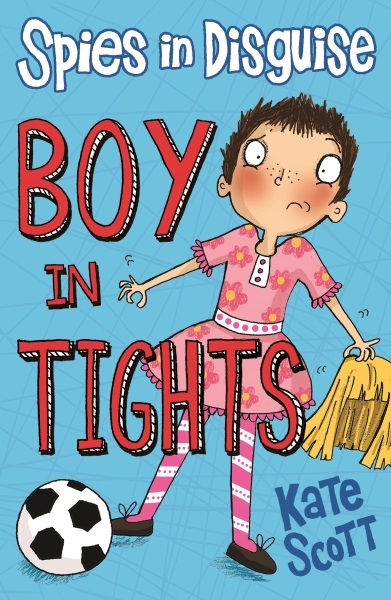 The first book in Kate’s Spies in Disguise series, Boy in Tights, won a Lancashire Fantastic Book Award. Giant has been nominated, long- and short-listed for four regional awards and Just Jack has been shortlisted for two awards to date. 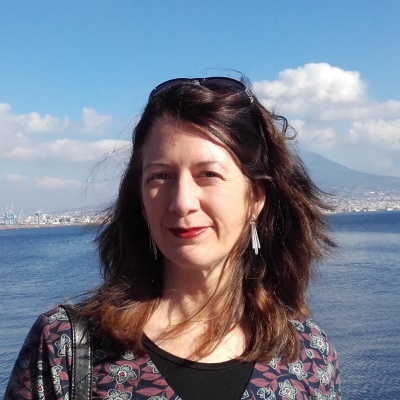 As well as a children’s author, Kate is a scriptwriter who has written over 40 scripts for children’s television, including the flagship shows CHUGGINGTON and BIG AND SMALL. Kate is also a published poet and a playwright whose work has been performed at the Kings Place, London, Salisbury Festival, Salisbury Theatre Studio and at the Pleasance Theatre in London. She has taught creative writing and is an editor and consultant for books, TV and film. Jack knows all about trying to fit in. Since Dad left, Jack and his mum have moved house five times. But it's hard work pretending to be someone he isn't and Jack misses having a friend. Until Tyler comes along. Tyler is clever, funny and inventive. And he might help Jack figure out how to be . . . JUST JACK. 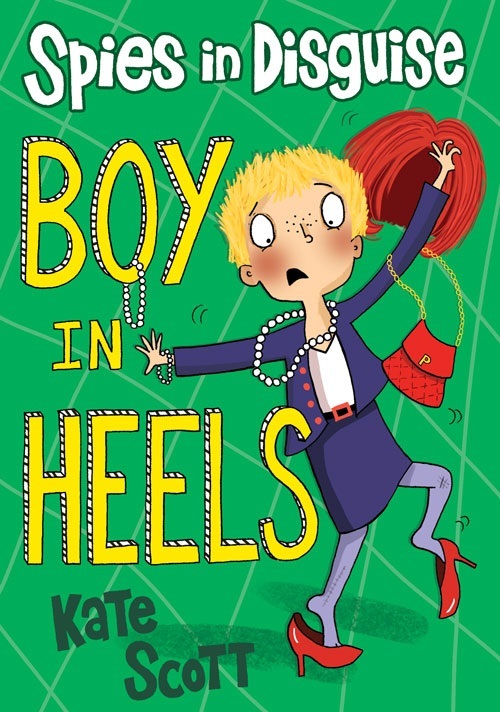 Joe discovers his parents are spies and has to go under cover -- as a girl!